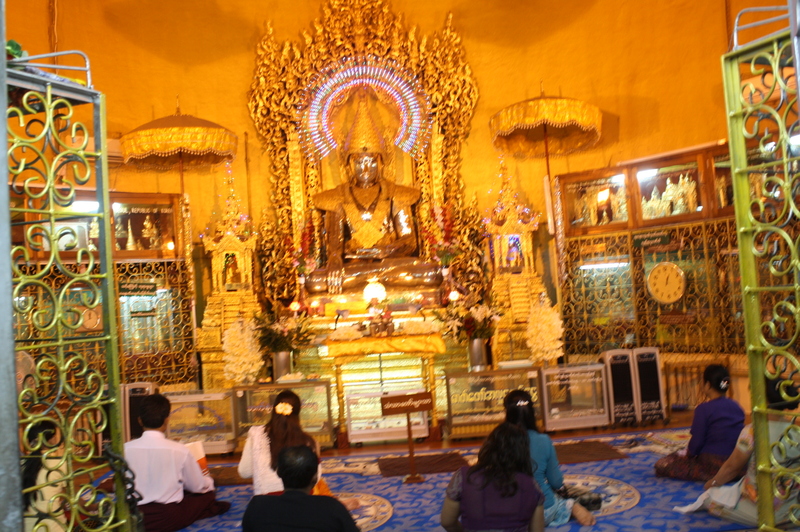 The Shwedagon Pagoda has become more than just a landmark but a symbol of Myanmar. 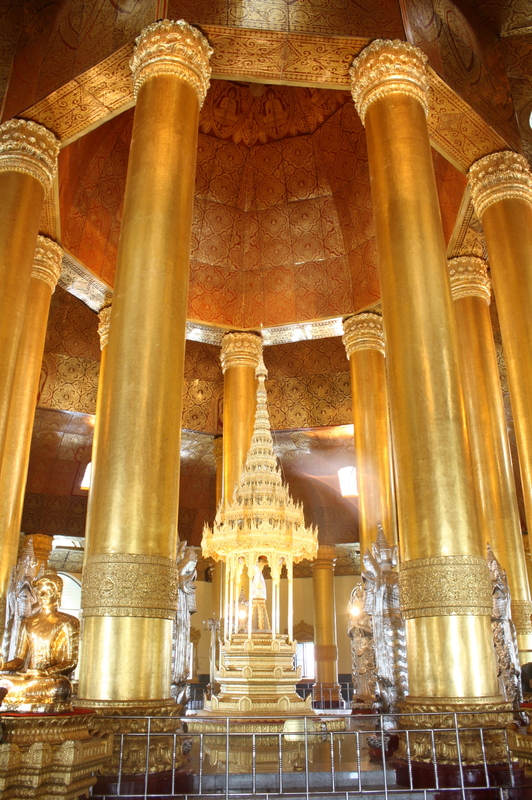 It is said to be the oldest Temple in the world which is about 2500 years old and is made of thousands and thousands of 18k genuine gold plates. The gold plates are cleaned every 5 years. 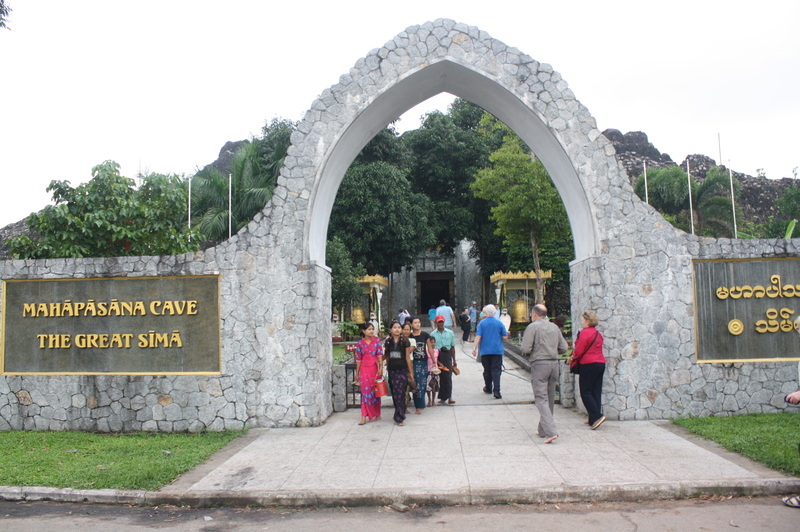 The temple has four entrances. The North, West and South entrances use elevators while in the East entrance, an escalator is used. Entrance fee for foreigner is 5usd. I took the south gate. The elevator is about 5 story-high. 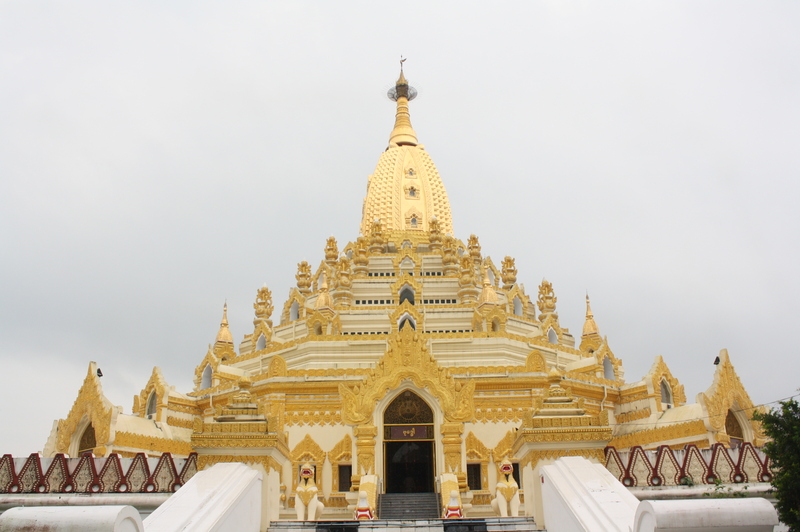 The Swedagon Pagoda is elevated. 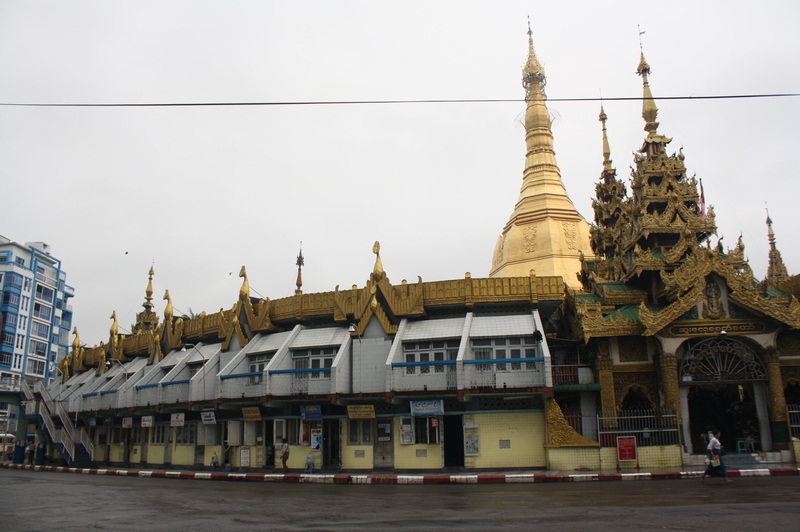 Sule Paya is a landmark in downtown Yangon. It is located near the City Hall. It is 2,200 years old. It is said that this temple enshrine Buddha’s hair. 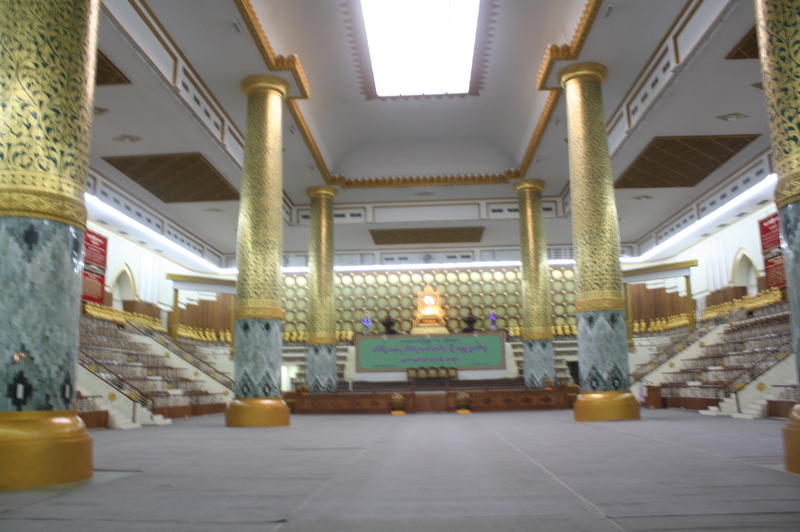 The temple is octagonal in shape. Shops surround the temple. 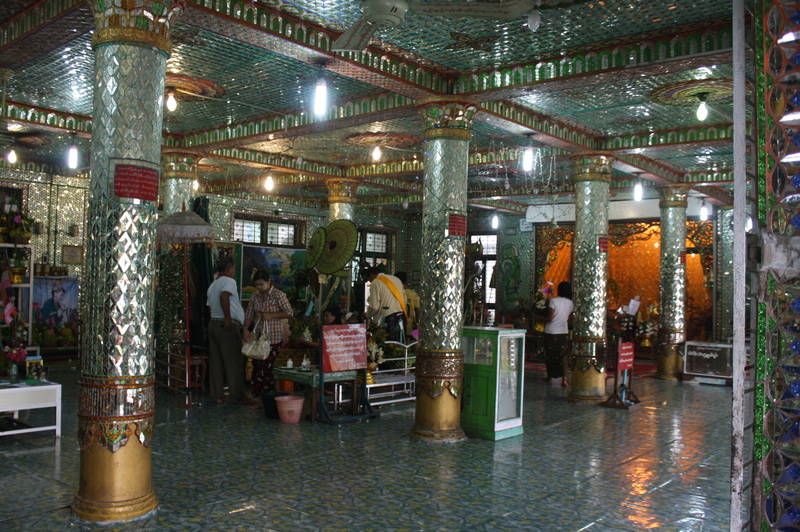 Botatung Paya is located near the Yangon River. This temple was originally built some 2000 years ago but was completely destroyed during WWII. It was rebuilt using the same style as the original one. 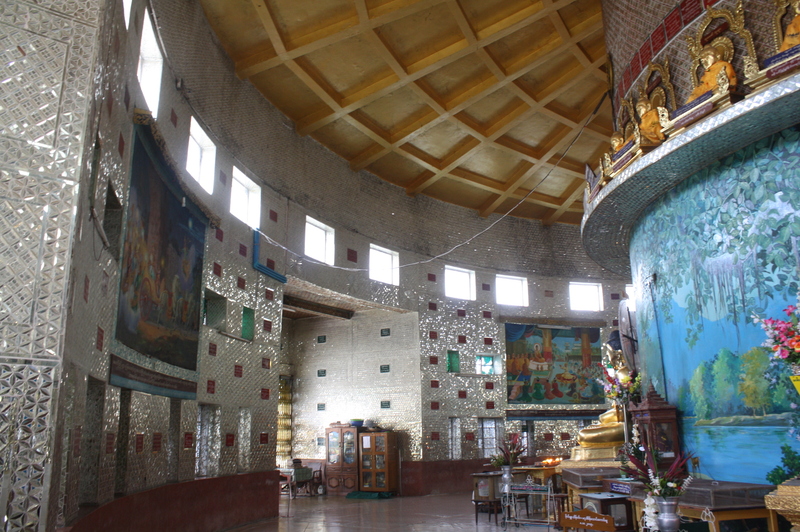 What is unique with this temple is that the stupas are hallow. 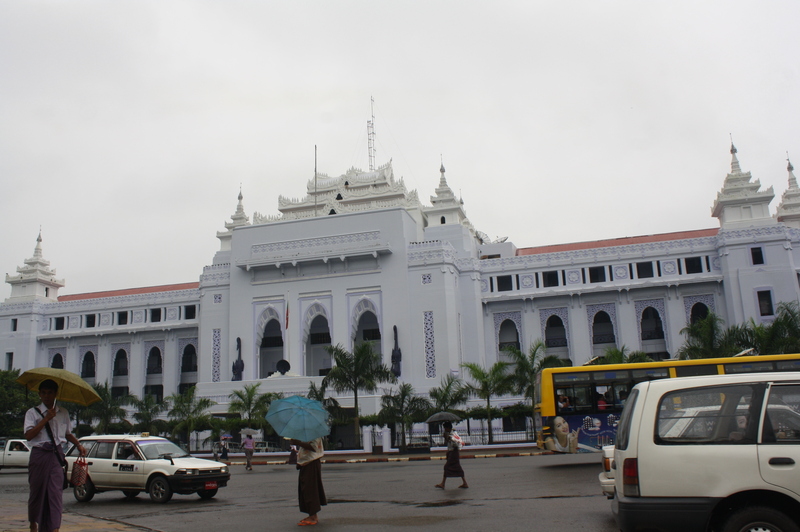 The temple is nothing old nor grand but it is one of Yangon’s 3 major temples. Next to the City Hall is the Immigration Office Building made of yellow and red bricks. 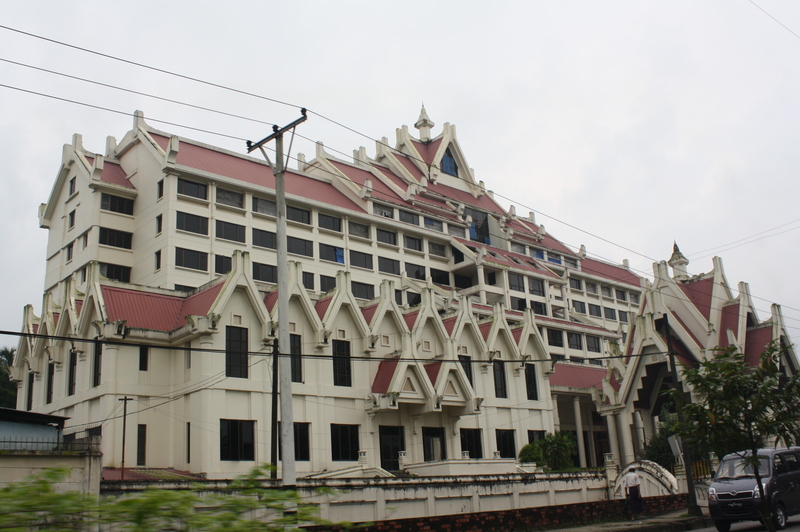 It is said that this building used to be the biggest and most fancy shopping mall in South East Asia. It is good to see that restoration is on-going in this building. 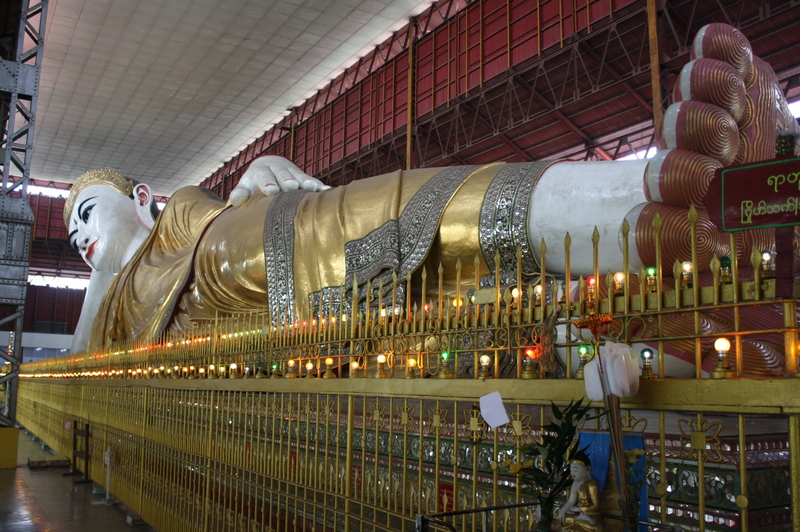 Chaukhtatyi Paya is the temple of a large reclining Buddha which is 72 meters long. 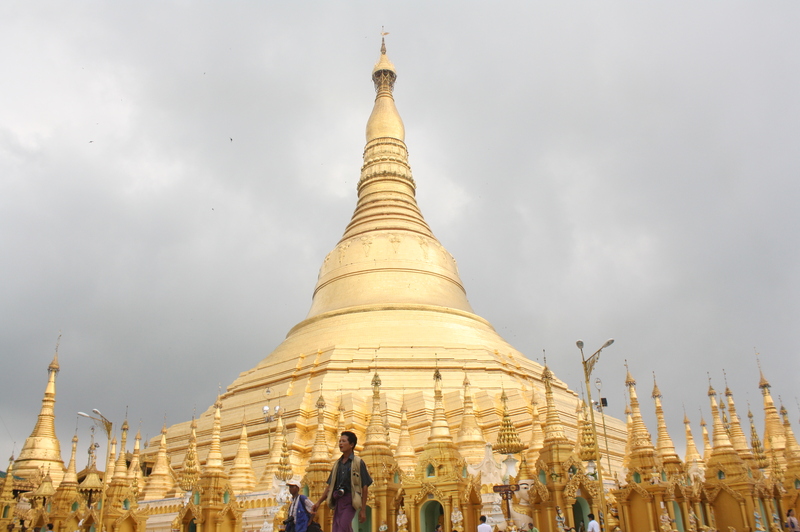 It is the largest in Myanmar and one of the largest in the world. What is interesting in this temple is that, names of donors (maybe financial or something) are posted on the walls. Also interesting are the details of the 108 markings in Buddha’s feet. The Port Area/River Area is a nice place to view local life. The river is the country’s premier port handling most of foreign trades. 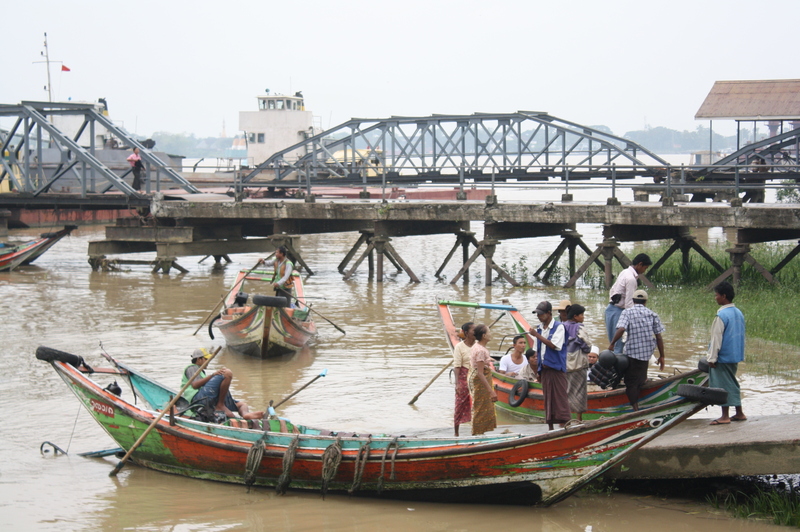 It is also a nice place to see old ships still used to transport goods and people. 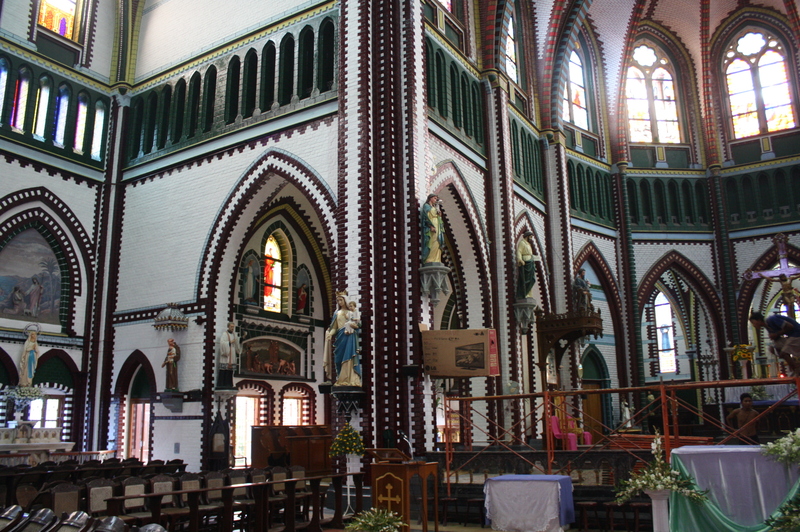 An impressive 17th century Catholic Church made of red bricks. 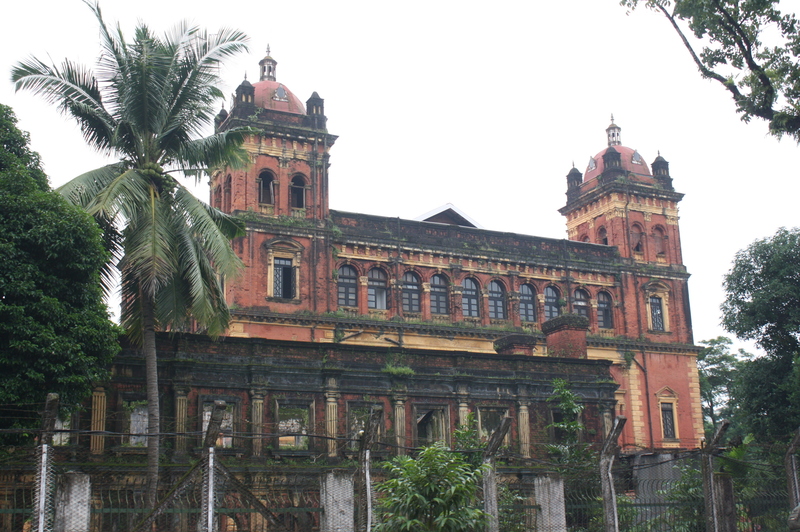 It was built during the British colonial time. The altar is made of wood. During my visit, renovation is on going in the main altar. The church is beautiful inside and out. This building and the entire complex is no longer in use but restoration is underway. 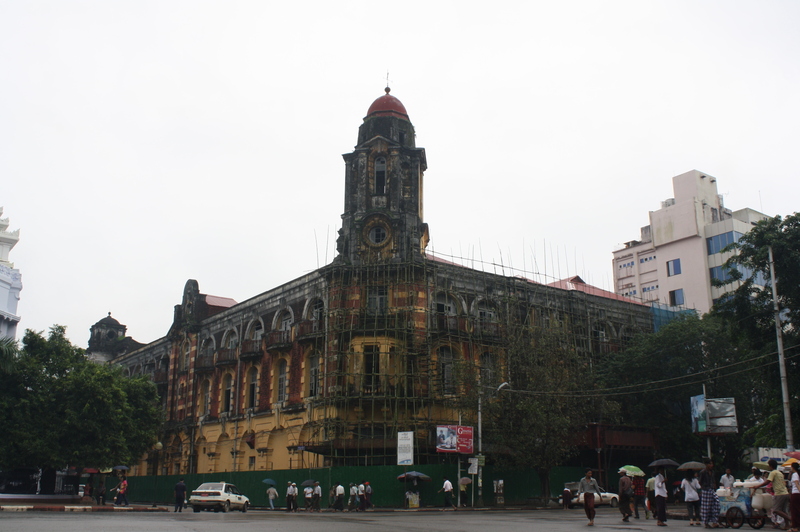 It is made of red bricks and the design is mainly of British influence. No one is allowed to enter the complex/building. 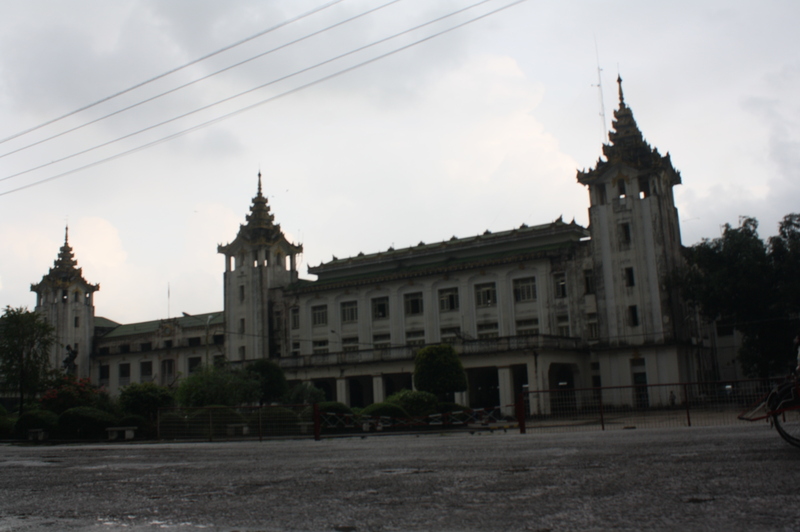 There is no direct flight from Manila to Yangon. I went to Kuala Lumpur first then took a flight to Yangon. Other option is via Bangkok and Singapore. All Filipinos are required to acquire Tourist Visa prior to arrival. hi! thanks for the tips. do you have recommended accommodations? could you share your visa experience? 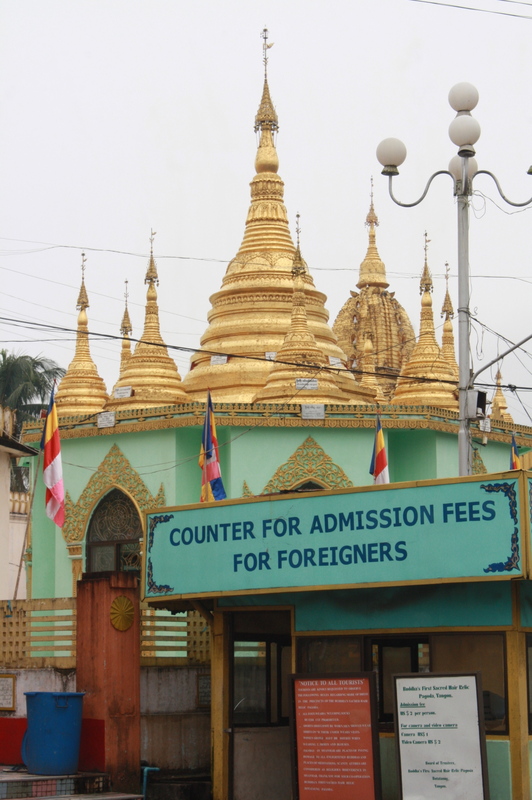 would you consider it safe to visit yangon for a solo filipino traveller? thanks!! thanks! 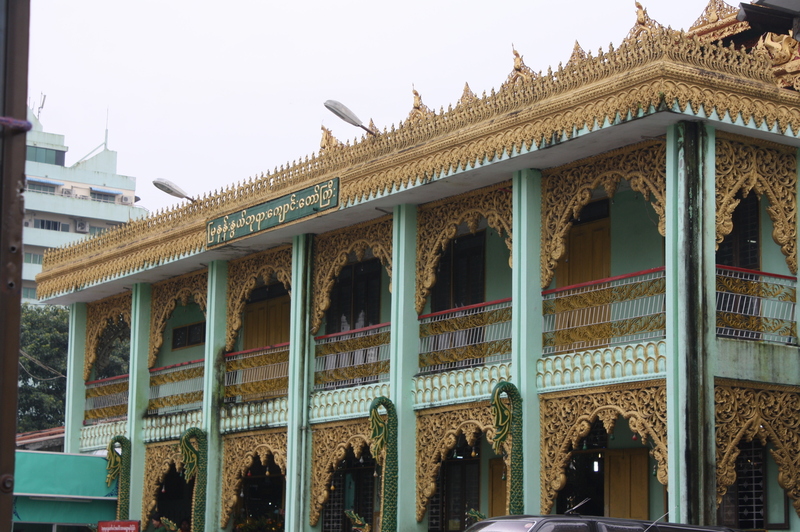 i already posted the comment when i realized you had an entry about central yangon hotel. 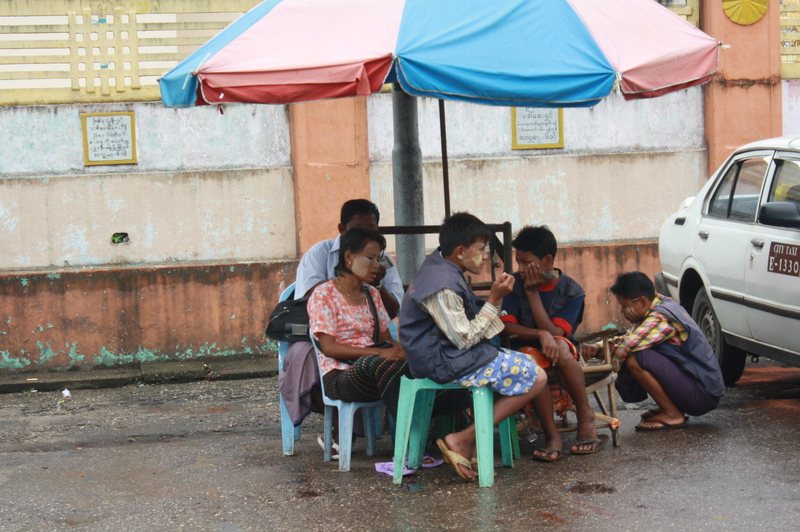 your pictures really tempt me to go to burma. 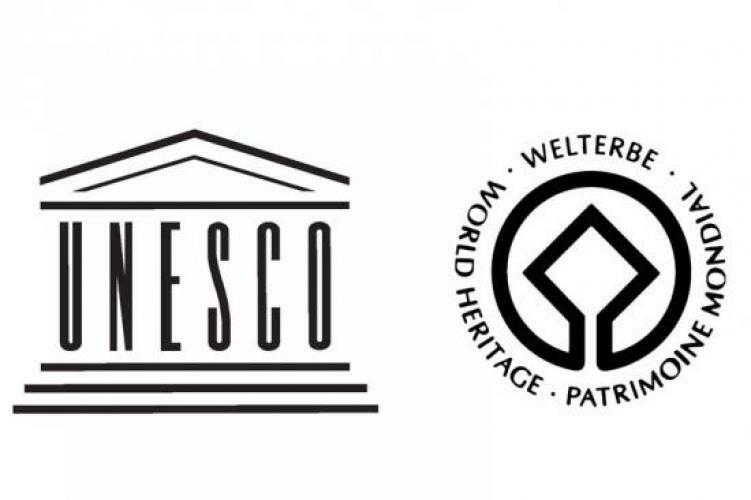 among the countries you’ve visited, which are the ones that you consider as good value for money? tempting! among the 5, i’ve only been to taipei and yes i did enjoy taipei. you went to india solo? i guess i’ll check your india entries next but i’m so tempted to go to myanmar already. if you don’t mind, around how much did you spend all in all in burma? wow! usd300 does not seem to be that bad. can you share more how you went to bagan? will it be a hood idea to stay overnight there? And did Ted’s comments rienmd you of John Hamill’s when he lost the mayoral race years ago (ironically – to Grimm) : “The people had the choice between an honest and a dishonest man and they chose the dishonest man”.I had that exact same thought Pope. I imagine a candidate is pretty emotional after an election and might say things they regret. Hamill also promised not to run anymore after that election, but thousands of Hatters told him tonight that they like his decision to reconsider.Nobody in Medicine Hat’s civic history has tasted victory as much as Ted Grimm, but tonight went to Norm, and thats the winds of change.Congratulations to him for running and drawing attention specifically to the utilities issue. I think his contribution will make its way to council when they debate that topic. Hello! just wanted to ask where you exchanged philippine peso to CRISP USDs?